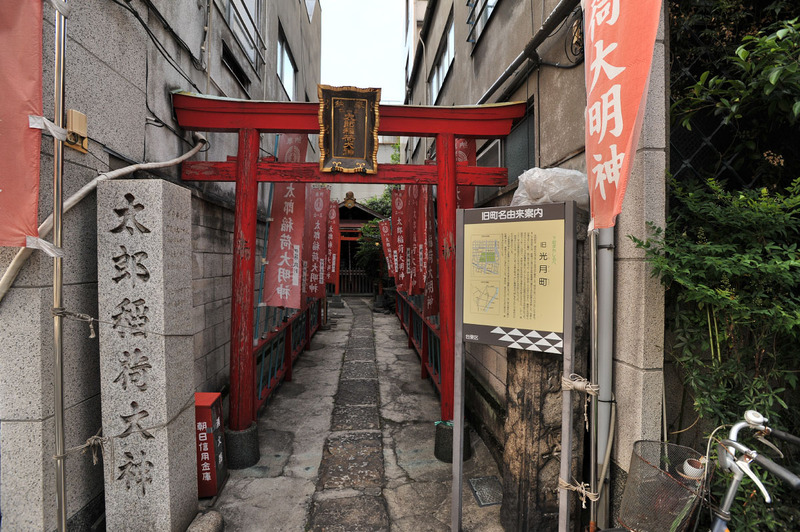 On a lovely back street well shaded with trees in the middle of Chiyoda ward is the tiny Otahime Inari Shrine (太田姫稲荷神社). 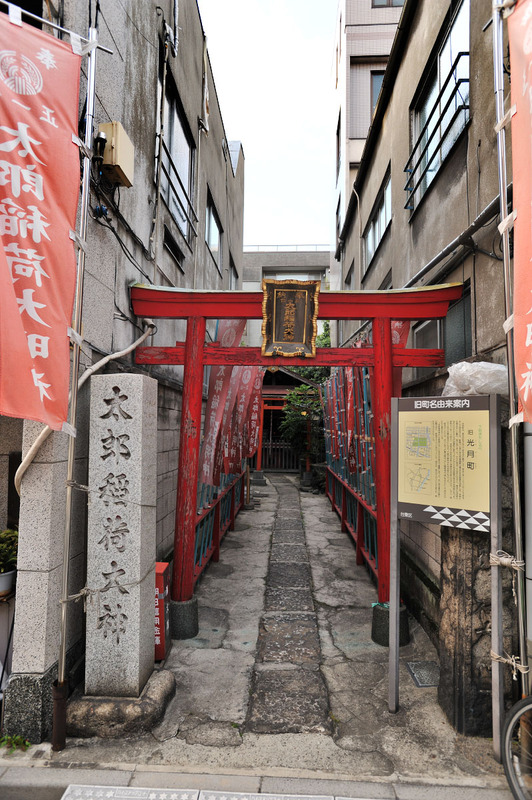 Founded in Edo (Old Tokyo) in 1457, there are various interpretation to its colorful name (Princess Ota Shrine). 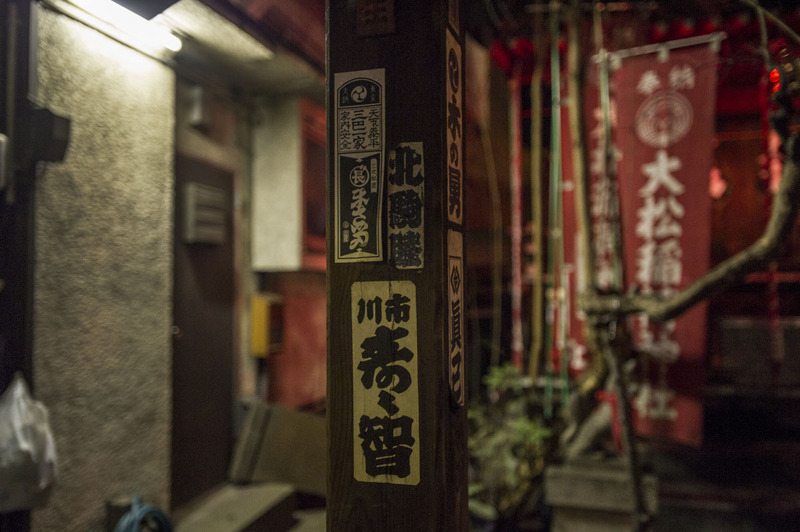 According to one legend, the name comes from the noble Ota Doukan (太田道灌) whose daughter very nearly died in a smallpox epidemic sometime in the 15th century. 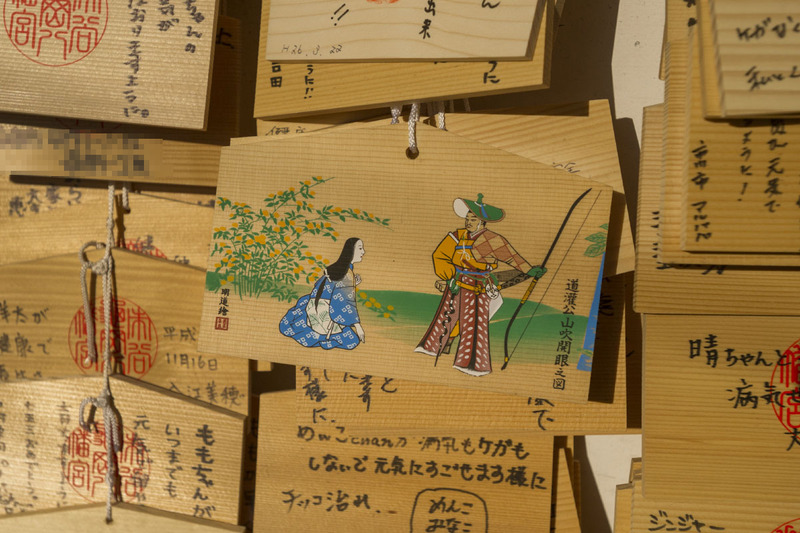 Ota Doukan prayed at the Imoaraiinari shrine for her and everyone else dying in smallpox and miraculously saved her life. 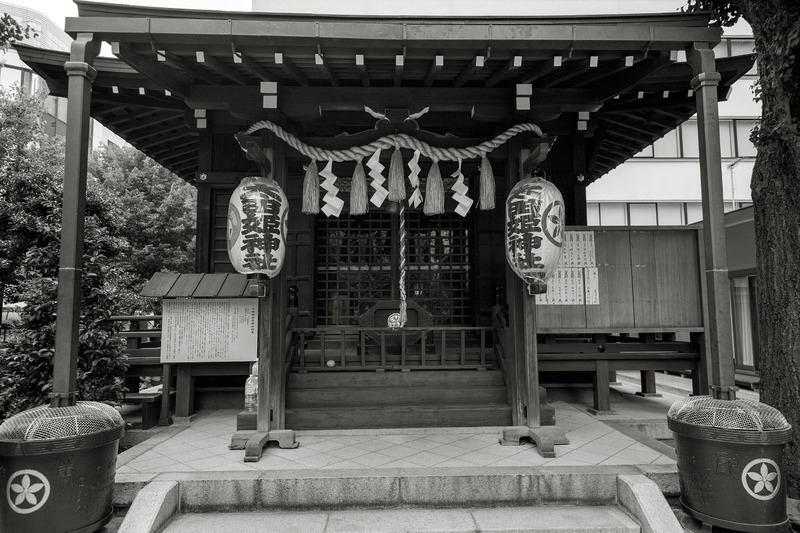 To honor the Gods Ota Doukan founded this shrine within the grounds of the old (the first) Edo Castle. 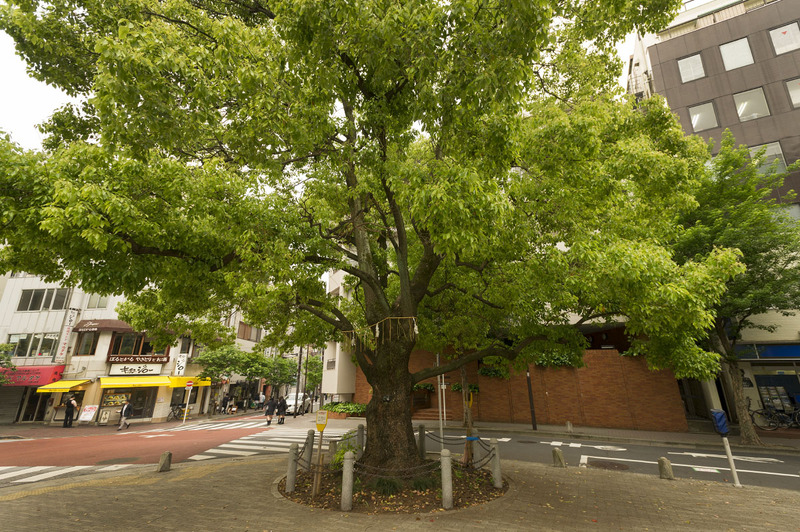 After Edo was made the capital the shrine was moved to a new location within the New Edo Castle, in 1606, on a spot right in front of the east exit of Ochanomizu JR station today (you can still find the old tree that marks the center of the shrine). 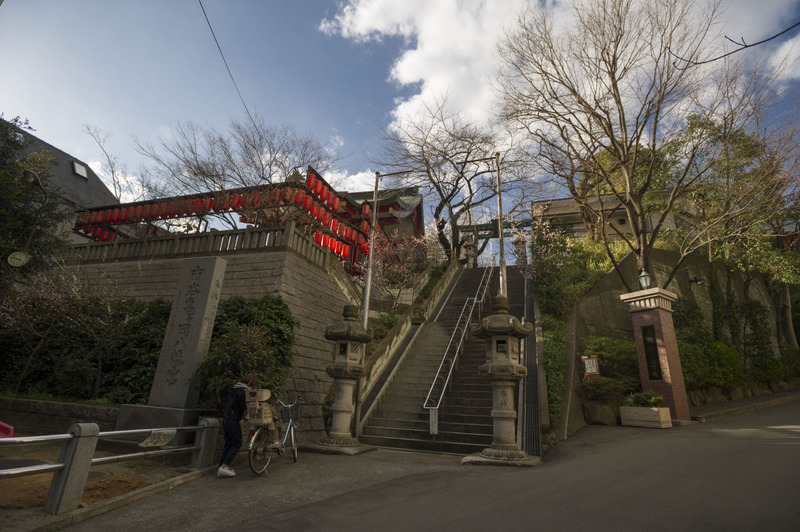 In 1872, the shrine was renamed Sonsha (I think) by order of the government but the shrine was completely destroyed in the fires following the Great Kanto Earthquake of 1923, and rebuilt in 1931, only to be moved once again to its present spot to make room for the new railway line. This time it got its old name back though! 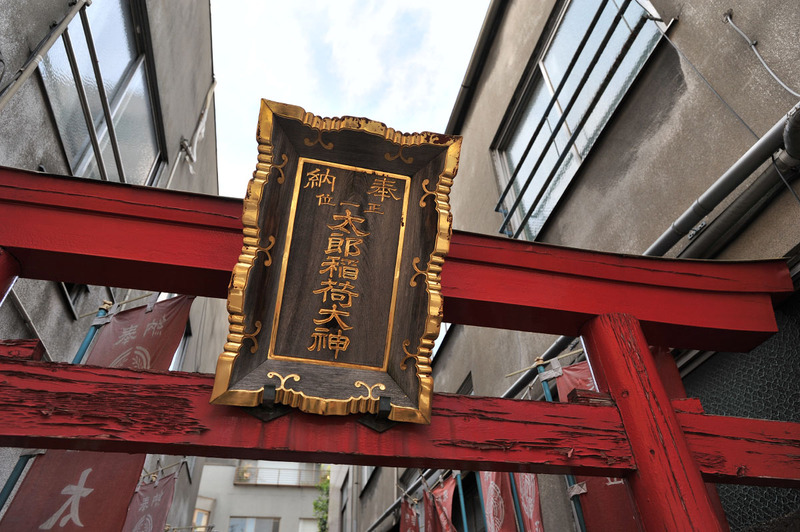 These days it celebrates its main festival in mid May, and is a popular shrine with local businesses and corporations, as most of its parish is now office buildings and shops. 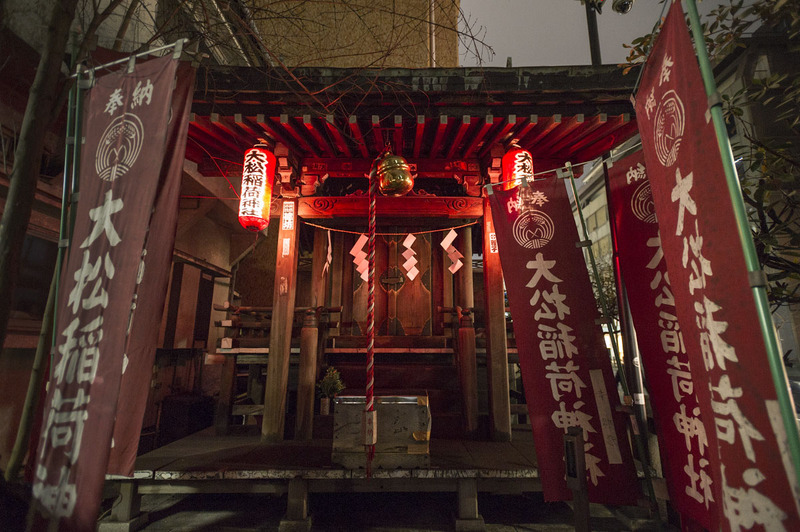 Easily one of the most seen but least visited shrines in Japan is the tiny Omatsu Inari Shrine very close to the large Omotesando street crossing. 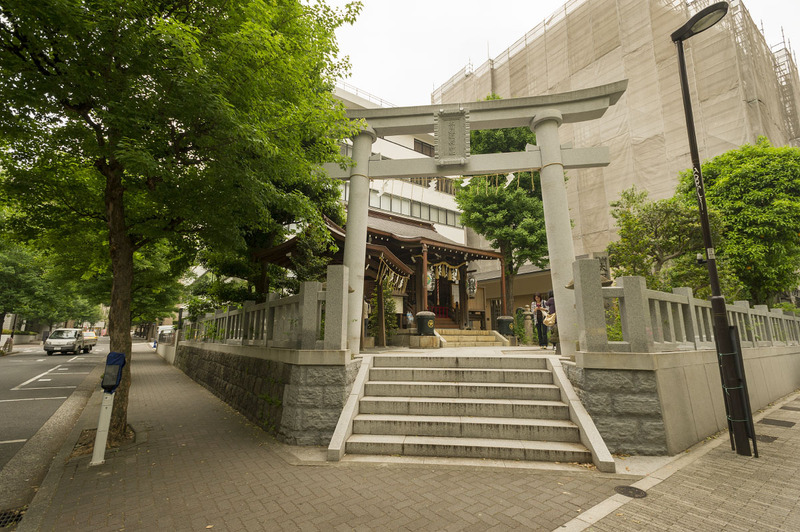 Technically the address of the shrine is in Minamiaoyama, but most people would recognize it as a place in Omotesando more than anything else. It has quite a few illustrious brand name shops for close neighbors so there are tens of thousands of people passing it most days, despite this I have never seen anyone enter it. 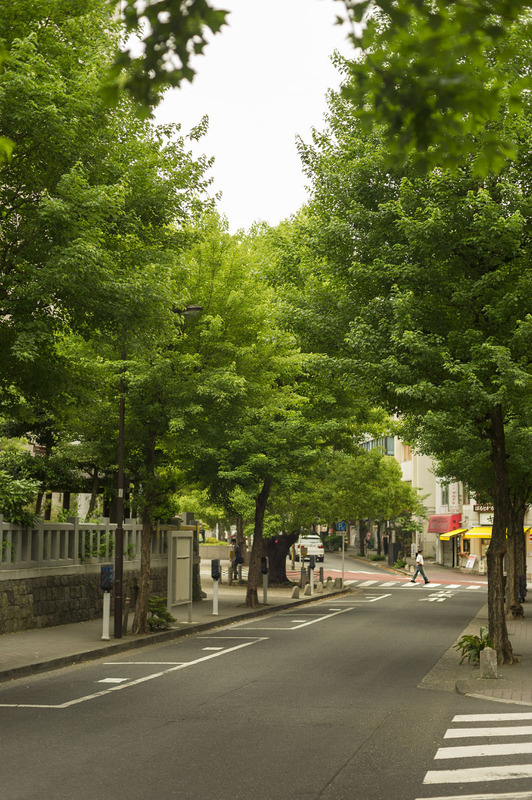 The name, Omatsu, which means large pine, comes from the fact that until 1839 there was a huge pine tree right on this spot, it grew so large that people would come to venerate it. As it broke during a storm a tiny shrine was erected over the tee stump and it remains there today, even long after anyone who has ever seen the pine has passed away. 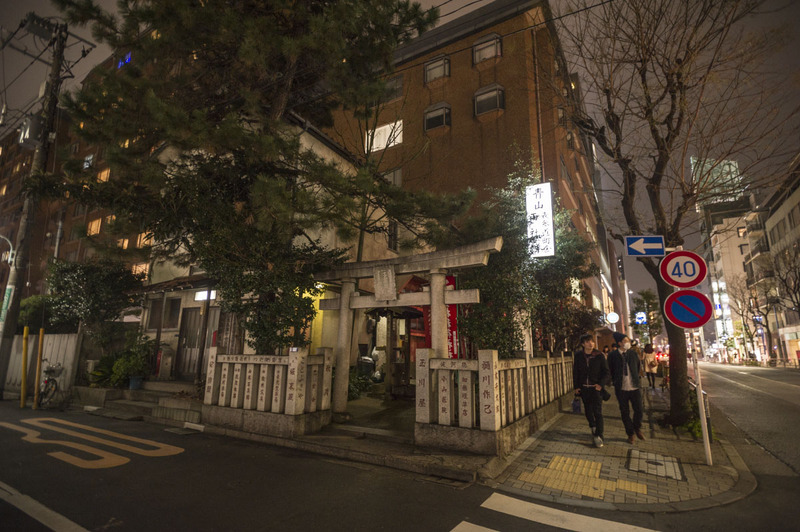 Since then the shrine has found a second shot of fame after having been featured in the award winning drama writer Mukoda Kuniko (向田邦子) who moved into the the fifth floor of the apartment building just next to it in 1970. I think she lived there until she died in a plane crash in Taiwan in 1981. 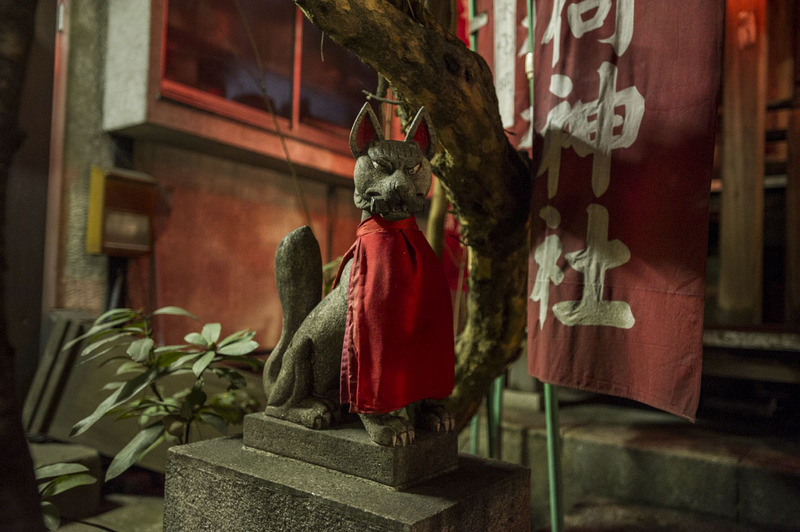 The shrine itself, being an inari-shrine, enshrines the diety Ukanomitama, who is often shown as a fox in Japanese mythology. I took these photos at night. 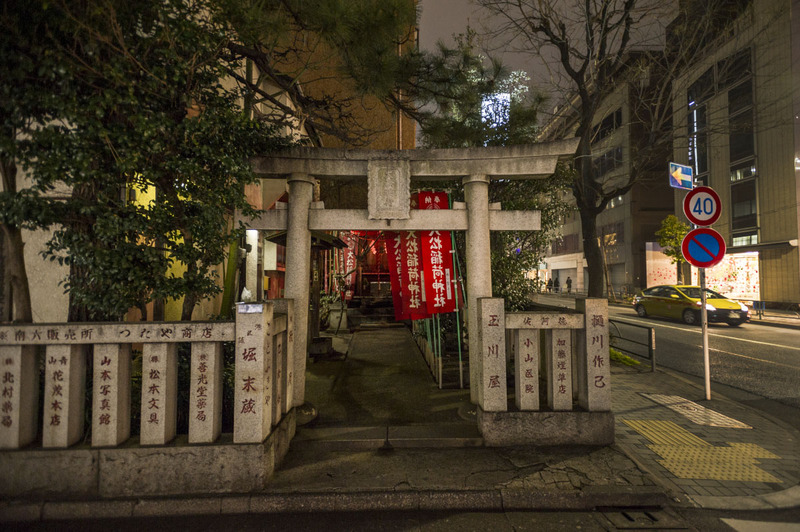 For some reason I think this shrine is best visited at night, when the obvious modern surrounds are a little less obvious, giving us a chance to imagine this shrine as it must have looked in 1839. 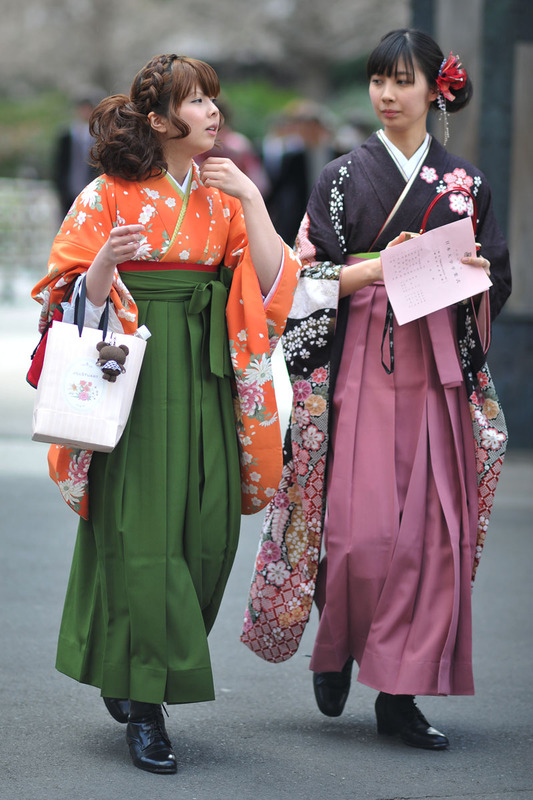 During the Edo period after the end of the Civil Wars one of the ways that peace was kept was to have the ruling provincial lords to live close together in the capital where the Shogun could keep an eye on them. The Daimyo (provincial level lords) live in grand walled estates called Yashiki, the grandest of which was like a miniature city within the city while the smallest was merely a large house with a garden, a wall and sometimes a ceremonial moat to separate it from the city. 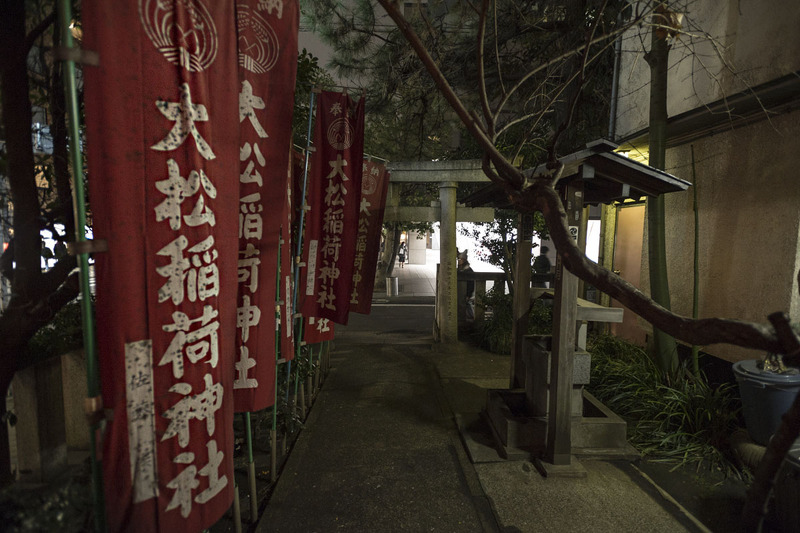 Many of the Yashiki also had dedicated shrines where the people who lived there could pray. 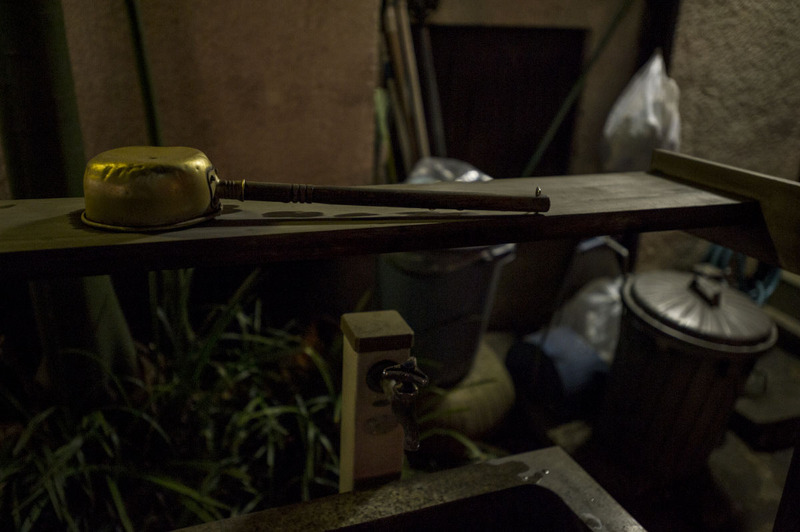 After the Edo period ended the old Yashiki system was abolished and most of the grand Tokyo estates were broken up into smaller pieces or turned into parks or gardens. 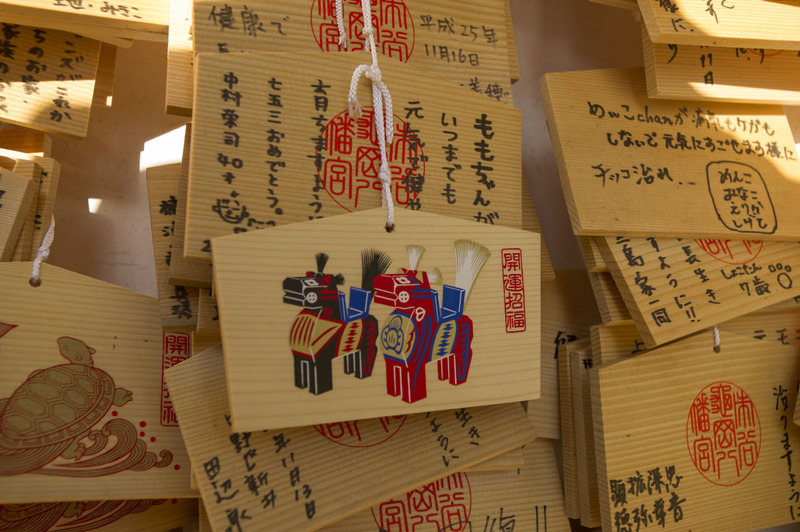 The shrines sometimes remained though, and to this day it is possible to find several of these scattered around central Tokyo to show where a grand estate house once stood. I have heard there are 16 of them but I am not sure. 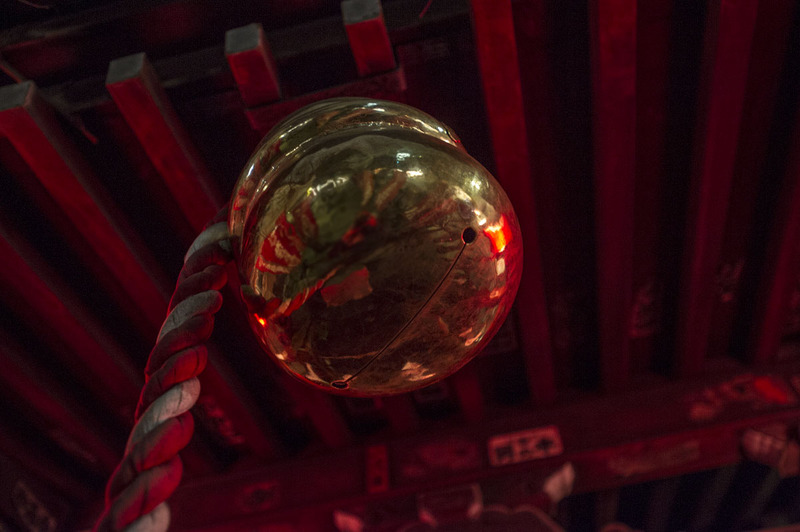 I found one of these Edo Yashiki shrines in Tokyo’s Asakusa district, the Taro Inari Jinja (Shrine). This used to be the estate shrine of the Tachibana House of the Yanagawa clan, who ruled souther Fukuoka province on the Island of Kyushu. 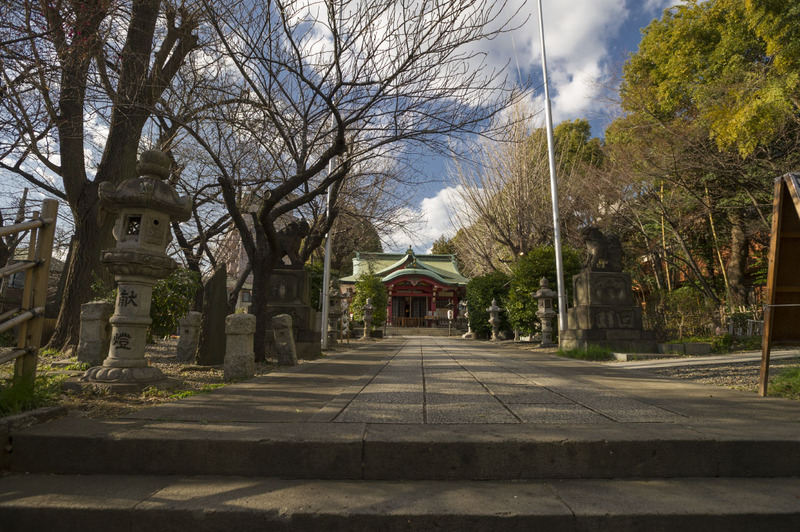 The estate and the shrine was established here around 1660. This is the only remains of the old estate, even though some of the lots are still in the hands of the original noble family members who seem to be in the hotel business (not sure on this one). 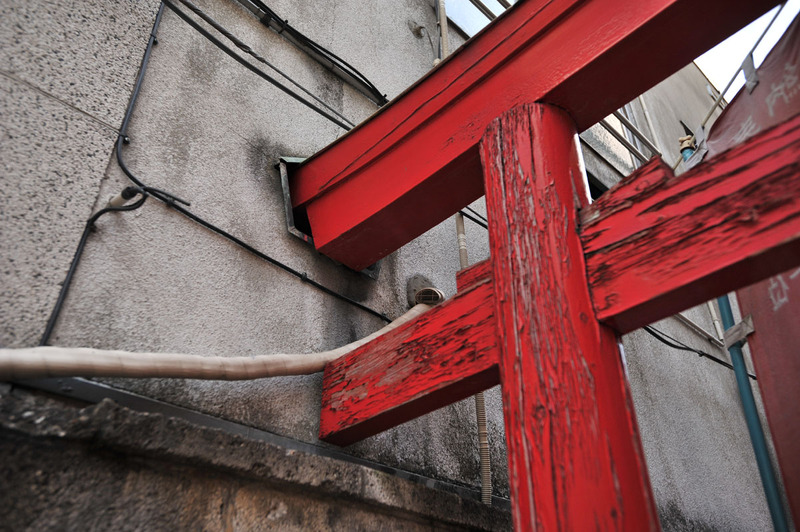 The thing that made me notice this shrine however was the fact that the Torii, the red gate in front of all shrines and holy places, has actually been incorporated into the neighboring building when it was erected, a torii shaped hole has been made in the building wall itself! No matter how crowded Tokyo gets, you can’t really ask the Gods to move! 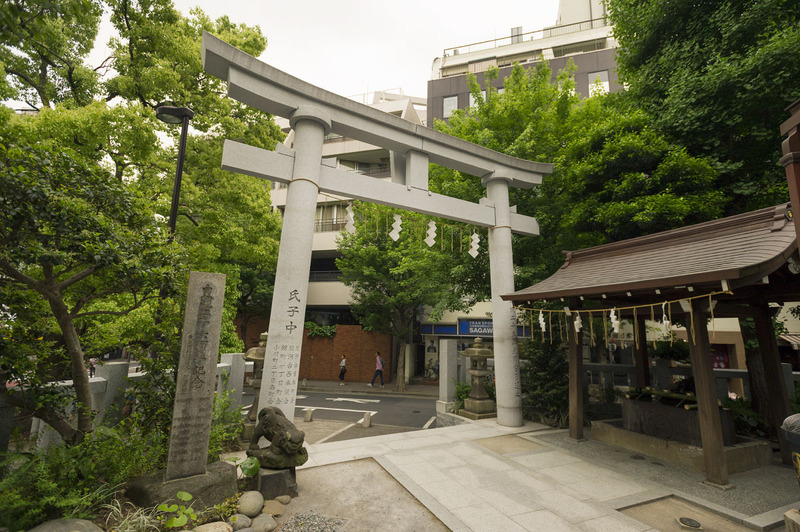 If you are in the market to visit minor shrines and temple while visiting Tokyo I can recommend trying to find the Ichigayakameokahachimangu (市谷亀岡八幡宮) near Ichigaya Station in Tokyo’s Shinjuku Ward. 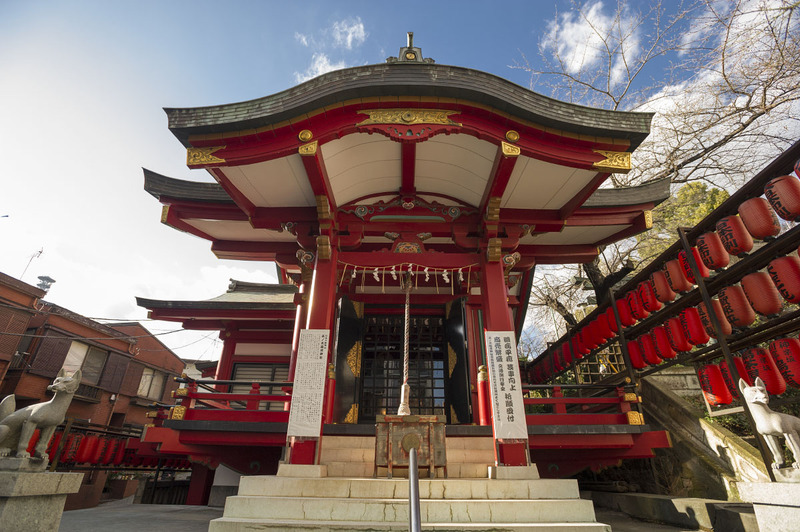 This shrine was established as one of the guardian shrines of the Tokyo castle in 1479 and move to its present location outside the moat in 1636 after the moat had been completed. 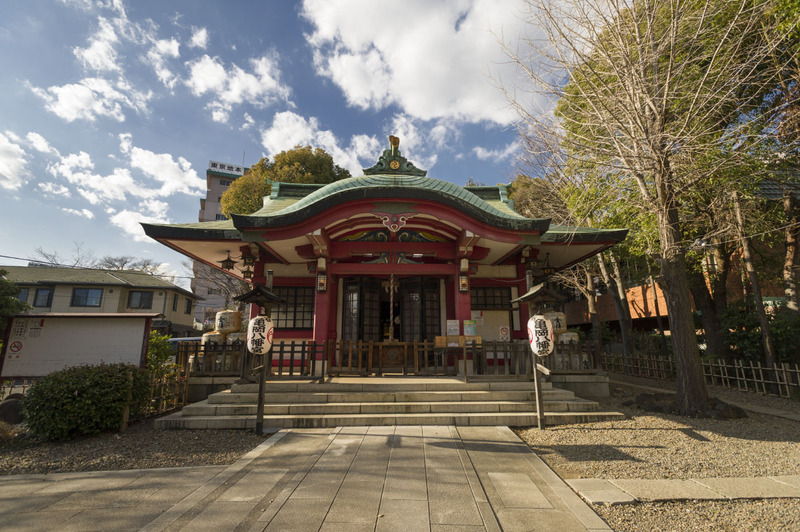 Like most buildings in Tokyo the shrine itself was destroyed in the air raids of May 25th, 1945, but it was rebuilt in 1962. 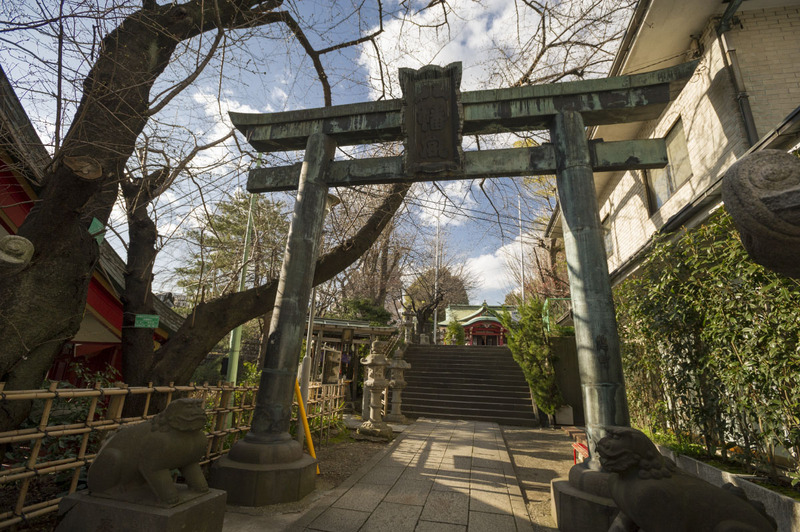 On the shrine grounds you will also find the smaller but more popular Chanokiinarijinja (茶ノ木稲荷神社), that is renowned for being the place to go if you are suffering from eye diseases. 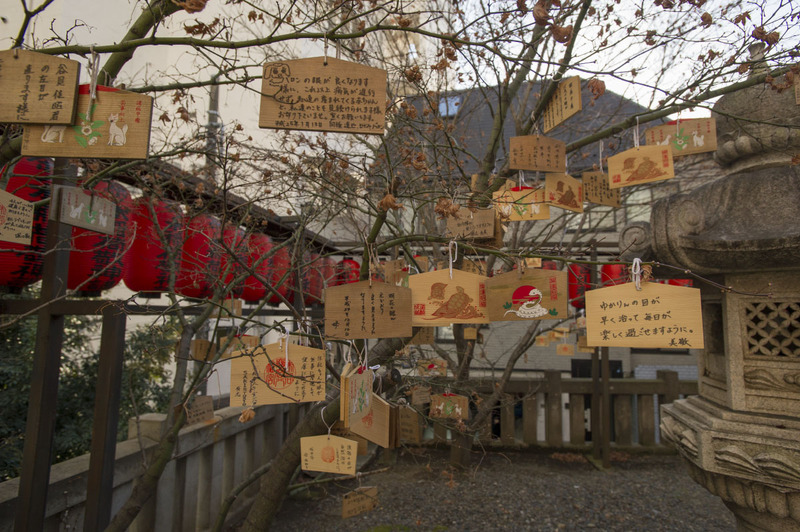 It also seems to be a very popular shrine with pet owners who often come here to pray for the health or souls of their pets. There are monthly rituals where you can bring you pet to have it blessed by one of the priests. 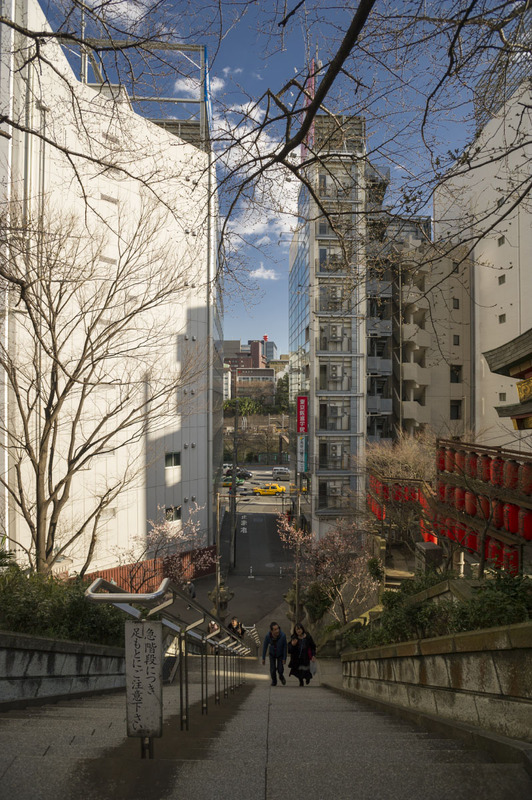 You would not know from the location but all the building behind and to the left belongs to the Japanese ministry of defense, making it one of the best protected shrines in the country. The shrine’s official festival seems to be in September every year but I have never seen it myself! 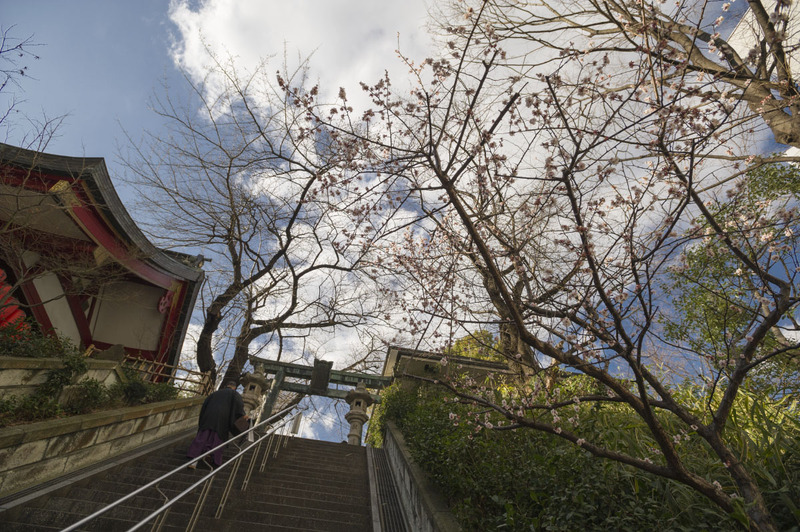 I visited a few days before the sakura but the shrine grounds looked much better after they were in full bloom. The shrine’s official site is here and they have a Facebook page here. 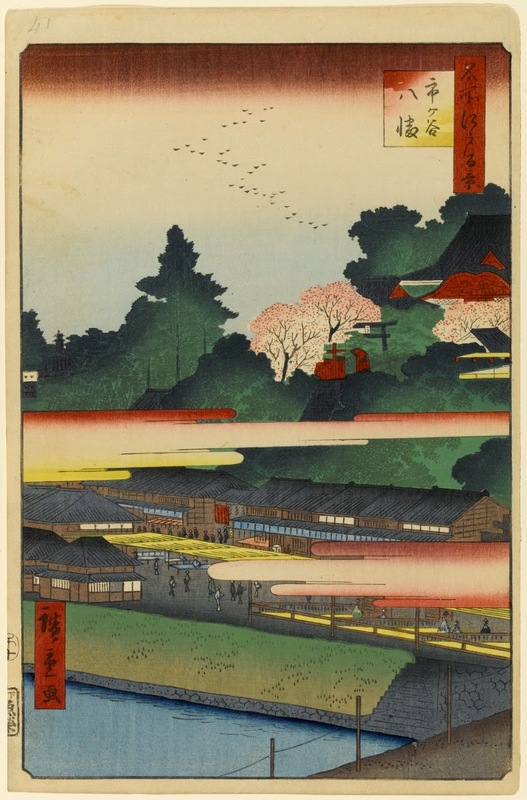 The last image is not one of mine, but a print from the hands of the famous Utagawa Hiroshige, showing what the shrine looked like in 1858.